Before I go too deep here if you want to wish me a happy birthday and win a prize, go to this thread. If you want to see me rage against the machine some more stay here. For the record I want you to know that I was not setting out to do this. I just wanted a nice little novel about Mystara and witches to read. Been on a great Mystara kick all week. So I treated myself to a bunch of books on my Amazon wishlist for my birthday. Three of them were the "Witchcraft Wars" series. I am not sure how I found them but all I knew about them that they dealt with the rise of Witchcraft in the Mystara game world. So perfect for me right? The cover art looked a little off from other Mystara books, but they were new and I thought that maybe WotC was trying something new. I was so excited that the first book was free for the Kindle that I grabbed it and the next two books. You can get it too so you can see what I mean. I then noticed that the publisher was NOT Wizards of the Coast or Mirror Stone but "Amazon Publishing Services". A closer dig into the other books from this author, Tracey Alley, revealed more books and two with some pretty blatant art theft. A Very Hairy Adventure - A Kaynos History Tale with Clyde Caldwell art from a WW Werewolf game. 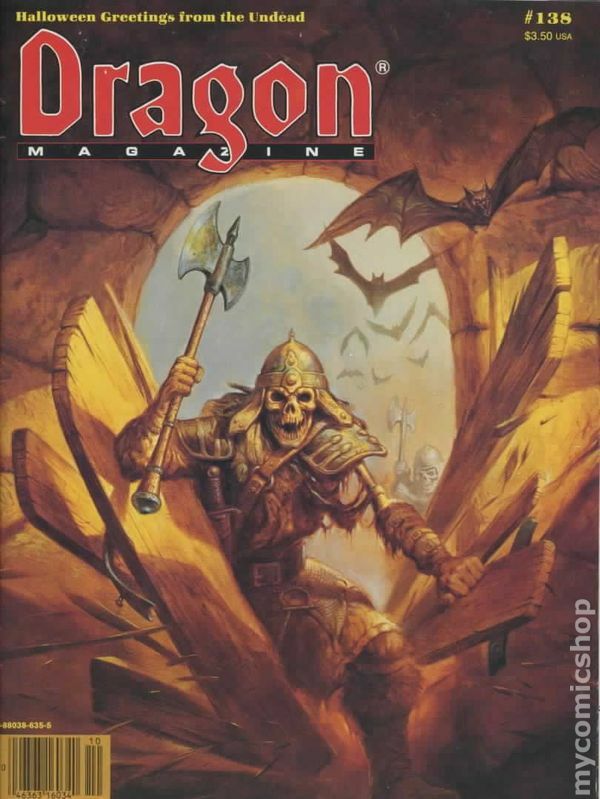 An Unholy Encounter (The History Tales of Kaynos) with art from an October 1988 issue of Dragon magazine. There is a long discussion about it that I started last night over at the Facebook Mystara group. But here are my point. I bought all three books because 1. they were set in Mystara and 2. they were well reviewed. So I do feel a little like I was ripped off. I thought these were something like those "Dragon Codex" books from Mirrorstone; novels that take place in Krynn but are not part of Dragonlance (but still published by Wizards). I mean really. 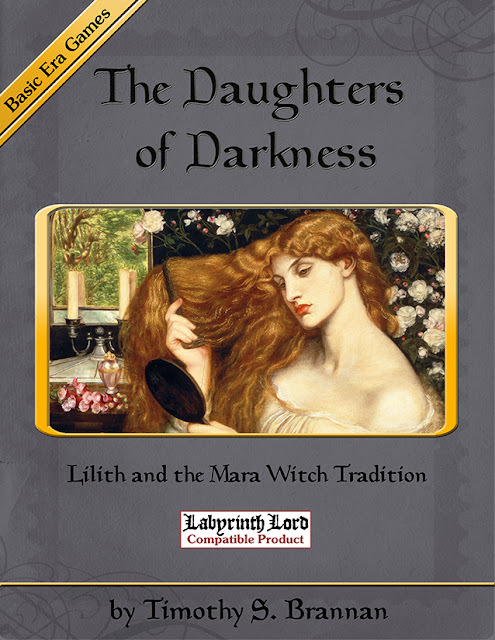 A novel set in Mystara about the rise of Witchcraft? Why not just call it "Tim Read This Damn book Now!" 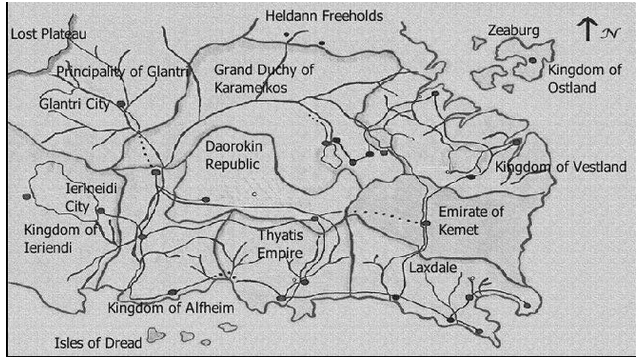 If you ignore the map it reads like a Mystara book. She has a Vestlander that used to be a Monk and is now a Druid. There are half-orcs that speak Hill giant. There are elves and dwarves, The writing isn;t bad, it's not great either, but I didn't mind paying whatever I paid for them BECAUSE I thought I was sending a message to WotC that Mystara books are a good idea. Thankfully Amazon let me return the last two books of the series for a full refund. I have started to reach out to people at Wizards, but no response yet (no surprise it's like 6:00am there now). This is not how I wanted to spend my birthday. I should just stick with reading witch books where the witch gets pregnant by her lesbian lover. After all, I have a reputation to maintain. ETA: Part 2 is here. Yeah but I don't think Wizards is part of that. Plus these books were out in 2010 long before the Amazon Worlds began. True - that's the scary thing about Amazon's actions: the world's largest book retailer and distributor is essentially working around traditional IP conventions in the hope of bagging another '50 Shades' property. Whether or not WotC - or even Hasbro - is willing to take on the risk fighting against this paradigm is unknown. There's so much competition among large toy/game companies and so little public transparency (for instance, look at the different categories of games over multiple markets, and the purchase of WotC looks much more strategic even if it only takes losses over time). Hi Tim .. I just hate getting something that isn't what I'm expecting it to be .. I'm glad they gave you at least two of the three as refunds .. something at least and hope you get a response .. So, basically this is fanfic set in Mystara that she self-published through Amazon? That's just...stupid. How do people think they can get away with this stuff? Strictly speaking, your Willow & Tara stuff is copyright infringement. It's IP owned by a giant corporation just like Mystara. Okay, you're not charging money for it. But really, it's the same thing. Good work, Tim. 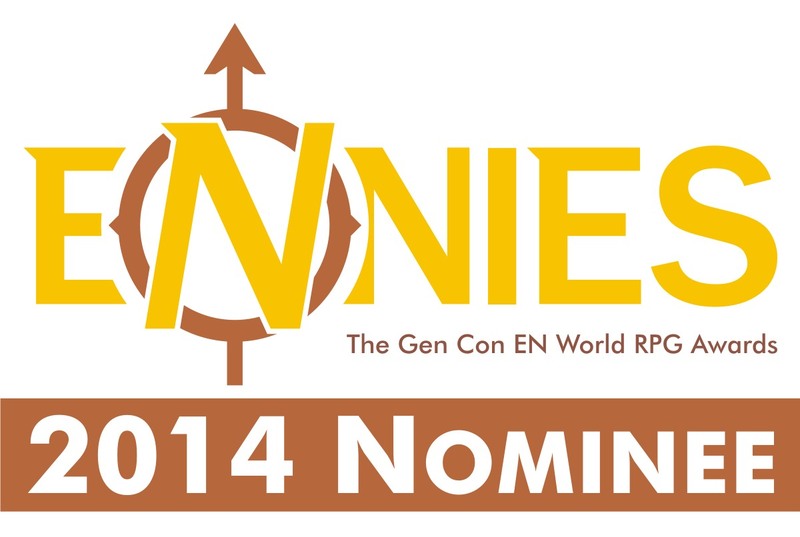 This is the kind of thing that makes WotC so touchy about IP. And this is nothing like what Tim does with Willow and Tara. (Morally, at least - I'm not qualified to argue legalities.) Most companies are content to let fanfic be, because fan artists do not claim any ownership of the characters they write about/draw/whatever, and because they promote the original product. This Tracy Alley, on the other hand, has taken money that Tim thought he was giving to WotC. So I'd say a bit different. The thing I find weird about this is that, as whoever wrote 50 Shades of Grey proved, if you're good enough to write half-decent fanfic, you should be capable of changing the names and such later and - pow! - your fanfic becomes an original work of fiction. There was some fanfic masquerading as a supposedly lost book in the Harpers Series for Forgotten Realms. It was blatantly marketed as such. That was reported last year and promptly taken off Amazon. I think these books have evaded the WotC C&D thus far is because no one has discovered them yet, at least not anyone who is familiar with both Mystara and these books. Amazon is actually decent* at detecting plagiarism, that is actual identical text taken from another source. What's harder to uncover is fanfic using existing IP, essentially an original story but with the same names as a setting. Sometimes the names are altered slightly or were already generic archetypes (Aelfheim and such). Then really the quickest way is for people to report it. The chances of that decline as the IP is more obscure and the IP infringing book is more obscure still. *Following blogs and forums frequented by self-pubs, I read reports of their stories and accounts locked with frightening frequency, but it's not plagiarism. These authors posted portions of their story on their websites and Amazon's bots and algorithms detect the duplication. The accounts and/or ebook files are put on auto-lockdown until the author can verify they own the copyright. To someone deriving income for their stories, it's an unsettling event, especially if they did nothing wrong. Amazon has as much interest in reducing plagiarism and IP infringement as any similar sized entity. Once reported, these will come down very quickly. BTW the Book is also for sale on Barnes and Noble's webstore. Which means she is part of some ePublishing group. I still think that our Copyright laws should be abolished for the good of Mankind. If the copyright law didn't exist, she wouldn't have to do this. She could write her Mystara novel, get it published for real (with Mystara on the front cover) and get money for it. However, currently, she will be punished. If not by the courts of Law (if they truly operated by Courts of Law) but by her readers. Her readers can call out fraud when they see it. Elton I could not disagree more. These laws protect the intellectual properties of their creators. Timothy, that statement is quite ironic, considering that none of the actual creators of Mystara material have any rights whatsoever to their creations. By "Creators" I mean Wizards of the Coast. So no. There is no irony. Thanks for helping spread the awareness. I'm in the facebook group and I'm glad we put and end to it. I seem to have a faulty dictionary, it tells me that ownership and creation are not synonyms. By legal definition they are the creators. Also the IP owners. How wonderfully circular, but still quite ironic. I do wonder why I have not seen the legal owner of the IP in question respond with the same outrage as outside parties such as yourself. I suppose they can save themselves some money on IP lawyers with such stalwart defenders(one might even say paladins) ready to come to the rescue of a defenseless corporation. Let me clarify what you are saying to see if I understand this. You found a book, in a setting you are fond of, and the author of the book is fond of it as well. You were excited because the setting is neglected by the creator, and wanted to show support for the setting with your dollars in hope that the creator would do more. You read the book and found it was reasonably enjoyable. You enjoyed how it reminded you of the setting. You didn't enjoy that t wasn't exactly like the setting. Then, when you find that the author of the book is *not* working with the creator of the setting, you are alarmed, return the other books and post about it. As it stands now, you are worse off than before your complaint. WOTC is not any more likely to create any works based on Mystara, and now the author and others like her are less likely to continue to create works on Mystara. 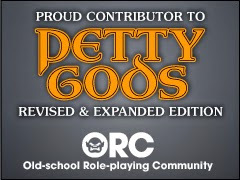 I would feel (slightly) differently if wotc was actively writing stuff for Mystara, but let's face it - it is yet another abandoned work that is currently off-limits just because of intellectual property laws that rather than encourage innovation end up suppressing it. In my ideal world - Wotc should make Mystara public domain and let people have at it if they have no intention of doing additional products based on it. Having said that - I do agree that she should have asked permission to use it - and I think wotc would have been silly to say no (unless the books were utter crap which would end up damaging the setting). Actually I didn't find it all that enjoyable. Too much wrong with it. Remember there is no such thing as "abandoned" when it comes to most IP where the creators are are still active. In fact there is a new official Mystara product out today. So the world is not as forgotten as some think. There is? Cool. Fantastic! I just saw the link in your blog. Thanks. But do realize though that these are crumbs compared to what we could get if Mystara was open content. I loved Mystara and it kills me when companies forget about something and yet don't let others use it. I believe in *reasonable* copyright and IP, but only if it is truly to *promote* innovation. Things like defending IP 'just because I *might* decide to do something that *might* make money in the future' is *wrong*. I loved Tracy's post (http://scribesforge.com/lyceum/100/2013/06/fanfiction/) which, while defending IP, presented *perfectly* what is wrong with it. He has an idea for a new series. I bet it would be fantastic work. We'll probably never know, or if we do we'll have to wait, because the IP is getting in the way of the innovation. Who knows how much more fiction would there be in the Mystara world if it weren't for the limitations and potential IP pitfalls. Maybe someone would write a "witches in Mystara book" which you would enjoy. Who knows how many more books, expansions, gazeteers or adventures would exist if the IP for Mystara was open content license instead of closed. We, the fans, suffer, *because* of a system that is supposed to *encourage* innovation! BTW: I saw people defending fan fiction, and other "non commercial" uses, but in strict sense WOTC could shut that down if they wanted it as well, or at least make it real painful to defend the "fair use" if they really wanted it. The IP system as currently implemented, is working against the purpose in the constitution: "To promote the Progress of Science and useful Arts." It has become a system - to ensure "I get the most money from anything I do for the longest amount of time, even if I am not going to do anything else with it." DEFINITELY not what was intended. Some other comments I saw were criticizing Tracy for not changing the setting/names enough but that also defeats the purpose - the IP system gets in the way of *us* enjoying a Mystara-based product, *just because* wotc *might* decide to make a product in the future. Madness. In any case, I am glad I found this controversy. Even though I disagree with your point of view I have read some of your blog posts and enjoyed them. Thanks! First Tracy reference is Tracy Hickman, second Tracy reference should be Tracey Allen.